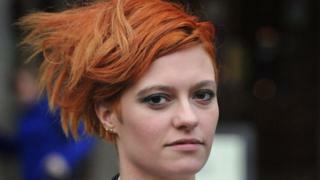 Food blogger Jack Monroe has won £24,000 damages, plus legal costs, in a libel action against columnist Katie Hopkins after a row over two tweets. Ms Monroe sued the writer over two war memorial tweets she said caused "serious harm" to her reputation. Ms Hopkins posted tweets in May 2015 asking her if she had "scrawled on any memorials recently". Mr Justice Warby also ordered Ms Hopkins - a columnist for the Mail Online - to pay an initial £107,000 towards the campaigner's legal costs within 28 days. He ruled that the tweets had caused "Ms Monroe real and substantial distress" and she was entitled to "fair and reasonable compensation". After the ruling, Ms Monroe, who also campaigns over poverty issues, said: "It's taken 21 months but today the High Court ruled that Hopkins statements to/about me were defamatory. "I sued her for libel, and I won." The case arose after some Twitter users highlighted an anti-Conservative profanity daubed on a memorial to the women of World War Two during an anti-austerity demonstration. In May 2015 Ms Hopkins tweeted: "@MsJackMonroe scrawled on any memorials recently? Vandalised the memory of those who fought for your freedom. Grandma got any more medals?" The judge ruled that the tweet "meant that Ms Monroe condoned and approved of scrawling on war memorials, vandalising monuments commemorating those who fought for her freedom". He found that a second tweet from Ms Hopkins "meant that Ms Monroe condoned and approved of the fact that in the course of an anti-government protest there had been vandalisation by obscene graffiti of the women's war memorial in Whitehall, a monument to those who fought for her freedom"
The judge added: "These are meanings with a defamatory tendency, which were published to thousands." Jonathan Price, for Ms Hopkins, who is well known for airing controversial views, told the judge that "this relatively trivial dispute arose and was resolved on Twitter in a period of several hours". He argued that "no lasting harm, and certainly no serious harm" had been caused to Ms Monroe's reputation. Ms Hopkins had "mistakenly" used Ms Monroe's Twitter handle instead of that of another columnist who had written about the war memorial incident, he said. Ms Monroe comes from a family with military connections - her father was in the British Army for seven years, while one of her brothers is a flying officer in the RAF. The judge said he accepted Ms Monroe's unchallenged evidence that "as a proud member of a military family and a feminist" she was "sickened" by the graffiti. He ruled that "whilst the claimant may not have proved that her reputation suffered gravely, I am satisfied that she has established that the publications complained of caused serious harm to her reputation". He said their publication "not only caused Ms Monroe real and substantial distress, but also harm to her reputation which was serious". 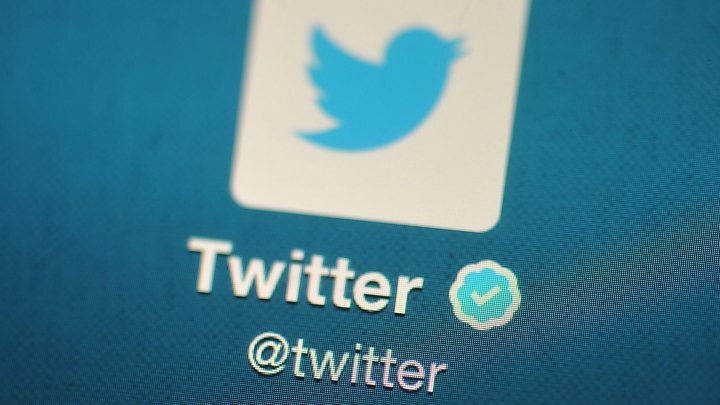 Media lawyer Mark Stephens, of law firm Howard Kennedy, said Mr Justice Warby had set a "tariff" at £24,000 for Twitter libel cases, which would "undoubtedly encourage more claims". He said: "The courts will allow robust debate and will consider posts and comments to see if they were meant as fact or a joke. "But the fact remains that if comments cause serious harm, legal action is likely to follow."